In Ideas, news and reviews. Christmas came early to the Hughes household this year in the form of a Sunday lunch. Mark and I played host to a small family gathering where we ended up drinking wines that we might not otherwise have opened, just for the sake of keeping my mum and my sister happy. Neither of them are big drinkers, but they have diametrically opposite tastes in wine (one prefers robust, tannic wines, the other winces at the merest hint of tannin and favours slightly jammy fruit flavours). I ended up opening far more bottles than I needed to, just to make sure that everyone got at least a glass of something that they might enjoy drinking. Did either of them notice? Probably not, but they both enjoyed their Christmas lunch. Either way, it got me thinking about the different way wine geeks and non-geeks approach the idea of drinking wine in company. 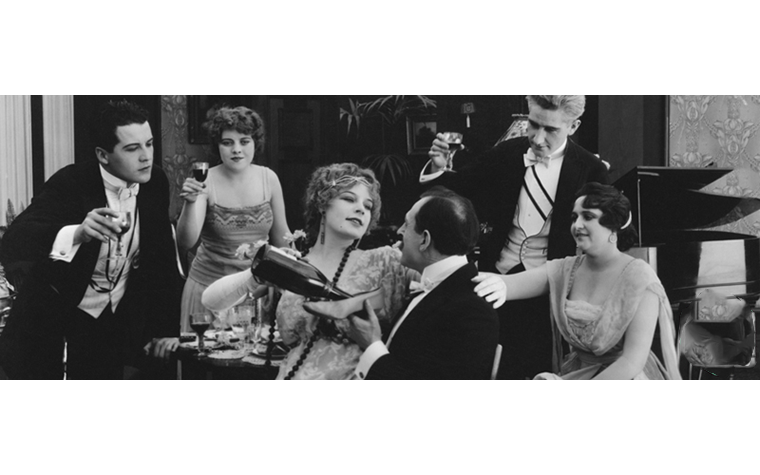 I have to admit that, much as I like a good geek gathering, there are times when our obsession with wine can end up marring the occasion for those not equally fascinated by the topic. Given that most of us will be entertaining friends and family over the course of the next few days, I’ve come up with five simple rules that should help the geeks keep the non-geeks happy. 1. Don’t talk about wine all the time. I judge at the International Wine Challenge twice a year, and usually invite some of the out-of-town judges over for dinner partway through the week. While I love the opportunity to get together with colleagues I rarely see, the dinner can pose something of a challenge to my husband Mark. The thing is, when wine geeks get together, they tend to talk wine. A lot. Strange as it seems, non-geeks find this boring. There are things you can do to alleviate the pain for the non-geeks. 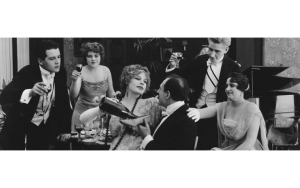 In my experience, imposing a blanket ban on talking about wine never works, but you can seat the worst offenders down one end of the table, and make sure that the non-geeks are surrounded by people who are happy to talk about other stuff. An alternative option is to impose forfeits on anyone talking about wine. The problem with this suggestion is that the most obvious forfeit is to drink a glass of wine, potentially creating a circular problem as inhibitions fall away. For the record, our own take on this is that we nominate a ‘safe word’, such as ‘monkey’, for wine. I defy even the sternest of non-geeks not to smile when conversation turns to Alsace monkeys or the best monkey tasted that day. 3. You don’t need to lavish great wines on all your guests (especially if they’re unlikely to appreciate their greatness). OK, this one’s a bit controversial as it goes against the generally accepted rules of hospitality. Nevertheless, I recommend gauging the wine interest of your non-geek friends before opening something fantastic. Are they really going to get that bottle of Clos St Hune you’ve been saving for ages? Will they appreciate the nuanced complexity of your Mascarello Monprivato, or will they just think that the tannins are hard going? I’m not suggesting that you drink Jacob’s Creek shiraz all night just to appeal to the lowest common denominator at the table or that you shouldn’t push the boundaries of the non-geek palate a bit. I’m just saying that you might want to share the really special bottles with guests who are going to get a little bit excited about them too. 4. Don’t leave bottles of the really good stuff in the fridge or lying around close at hand. I learned this one the hard way when a non-geek mate of mine opened a bottle of Clos des Goisses that I’d been saving for my anniversary celebrations (which happened to be the next day, which is why the wine was in the fridge). 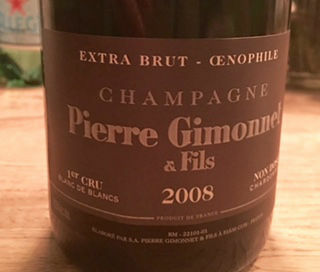 It was late into a boozy evening round the dinner table, and he’d gone off in search of another bottle to open and found this conveniently chilled fizz in the fridge. To make matters worse, he had a glass of the wine but found no other takers because we’d reached that stage of the evening when people start calling for cabs or heading off to the tube station. Lesson learned. I now stash the really good stuff away in the wine rack and leave something cheap(ish) and cheerful on standby in the fridge when friends come over for dinner. 5. Don’t talk about wine all the time. Seriously, I may have mentioned this before, but I can’t emphasise it enough. I have watched non-geek friends lose the will to live far too many times while my geek mates waffle on regardless. Don’t do it, people – there is more to life than wine.